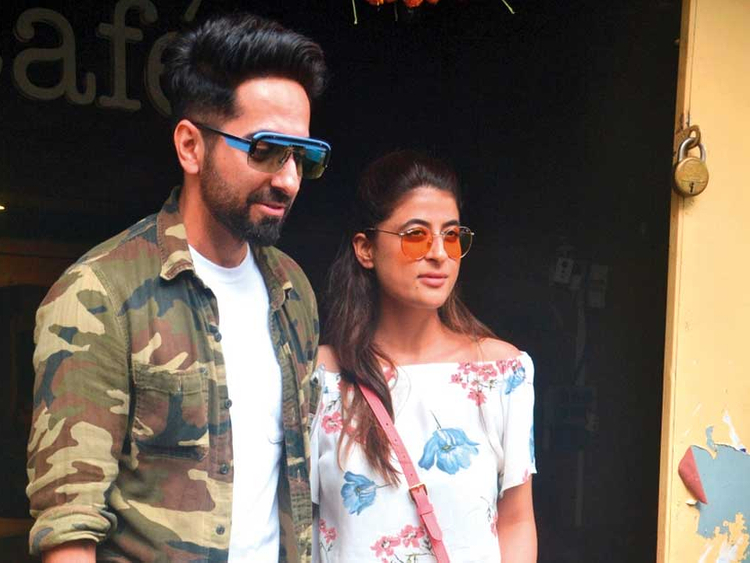 Actor Ayushmann Khuranna has done a traditional Hindu fast for his wife Tahira Kashyap, who has pre-invasive breast cancer. During the Hindu festival of karva chauth, women traditionally fast from sunrise to moonrise for the safety and longevity of their husbands. Khuranna on Saturday took to Instagram to share a picture of his palm on which the letter “t” in Hindi was written with mehendi. He captioned it: “She can’t fast this time but I will. For her good health and long life. Karva chauth”. On September 22, Kashyap revealed that she was detected with DCIS (ductal carcinoma in situ) in her right breast with high grade malignant cells..
“Simply put stage 0 cancer/pre-cancerous stage, with cancer cells multiplying in a contained area,” she said. On the acting front, Khuranna is currently riding high on the successes of his two latest releases AndhaDhun and Badhaai Ho.